Adopt your very own baby kitten and help him grow into a fully grown cat. Discover the #1 game in 135 countries! Adopt your very own baby kitten and help him grow into a fully grown cat. Take good care of your virtual pet, name him and make him part of your daily life by feeding him, playing with him and nurturing him as he grows. Dress him up any way you like and pick from a wide selection of fur colors and other accessories. Decorate his home and check out how others decorated their My Talking Tom homes. Play games with your Tom and watch as he becomes a part of your everyday life. 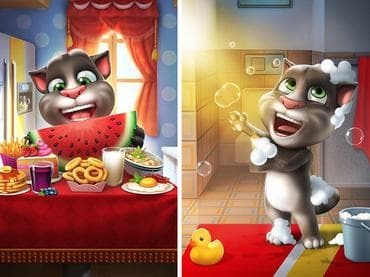 Если у Вас есть вопросы, связанные с игрой My Talking Tom пожалуйста используйте эту форму для связи с нами.